FanDuel Identify Verification: What’s the Deal? Update 2016! As one of the top daily fantasy sports services in the world, FanDuel is always looking for a way to get ahead of the curve. This is particularly true at the present time, with many states considering the legality and security associated with daily fantasy sports. “To comply with government regulations, prevent fraud, and make FanDuel safe and fun, we ask that you verify your identity. While verifying, the more details you provide us with the more fluid your experience will be when using FanDuel. If you have difficulty receiving a successful verification, please email customer support for assistance by clicking on the tab below. Please be advised that turnaround time is currently 24-36 hours. We're working feverishly to blast through the volume and kindly ask for your patience as we're working on a first come first serve basis. FanDuel introduced the verification process in November 2015 to select users (not everyone), likely due to issues processing the information for every new user in a short period of time. However, we can expect this to become the norm in the weeks to come. In the early days of daily fantasy sports, providers did not want to create a barrier for signing up. This is why they left the verification process out of the equation. With increased scrutiny, both on the federal and state levels, this is no longer possible. In the case of FanDuel, there is a good chance the company is taking this step in order to comply with future state regulatory demands. What is FanDuel doing with my Social Security Numer? Which seems to be a weird thing so ask for at once actually provides value to FanDuels players. By providing your social security number to FanDuel, the company will know who you are but also knows all other players better as well. This decreases the chances for Fraud big time. By the way, you would need to send FanDuel your Social Security Number at the time you want to cash out your winnings anyways. That has not changed! Furthermore, FanDuel might be asked you for your tax number as well, since all profits exceeding $600 needs to be declared to your tax statement. 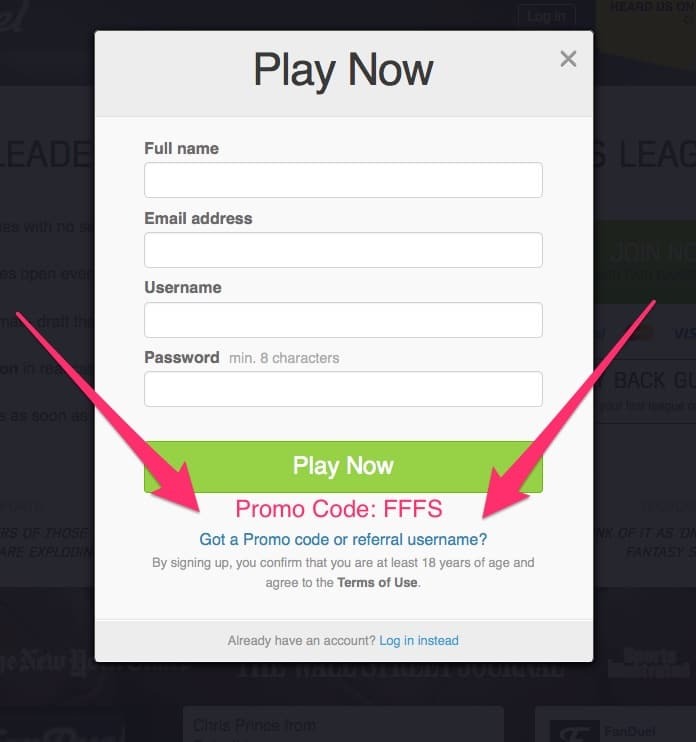 In case you have not created an account yet, make sure to use our special Promo Code: FFFS before you signup! Next story Daily Fantasy Sports Ad Spending: What’s Next?